Those of us of us who were part of the “Swinging Sixties” might recall Mister Murray’s ghastly rendition of “Down Came The Rain”. Hideous as it was, its title was an appropriate memory of this evening’s Big Christmas at Castle Cary. As ever Brue Valley Rotary were in action serving bacon baps, burgers and “the Works ” to the many visitors. This year “the Works” proved particularly popular ; for the uninitiated it is a juicy burger topped with two bacon rashers and a tasty morsel of cheese. The rain certainly came down – despite that it proved to be business as normal. Special mention must be made to Brue Valley’s soft toys team comprising Angela and Liz who sold many cuddly items and raffled a HUGE teddy bear. 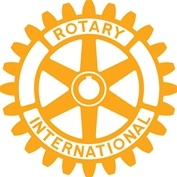 Morale was high notwithstanding the torrential rain, we worked as a well oiled team and raised useful funds which will benefit local Rotary charities and organisations.